Before I even start with this, let’s just get one thing out of the way. There’s no actual need for you to try to look younger if you don’t want to. In an interview on the radio recently, the glorious Mary Beard confidently and happily stated that she’s happy to look her age, and has no desire to look any younger. Ageing is not something to dread, or be ashamed of. But at the same time I’m not Mary Beard, and I’m happy to put it out there that I would like to look as young as I can for as long as I can. I’d love to maintain a dewy complexion and smooth skin. Whichever way you veer, I won’t judge you. 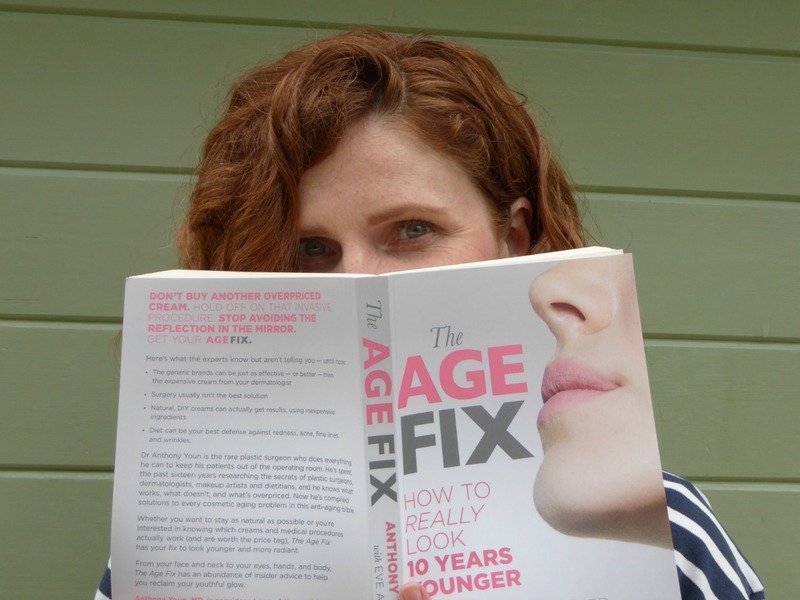 So if, like me, you’re quite keen to sip from the fountain of youth, you might want to take a little peek at this book, which came out this month – The Age Fix – how to really look 10 years younger by Anthony Youn MD. It’s a surprising book – and in a good way. Written by a plastic surgeon, it starts with a similar premise – if you are happy looking the way you do, go you. But if you aren’t, you don’t need to settle for how things are as there’s a lot you can do to look better. More surprising still, only a small proportion of the book is devoted to surgery to achieve the look you’re after. Most of it is natural tips and tricks to make you look younger – many of them involving shunning expensive creams in favour of basic ones, or even using things you might have in your fridge. It covers diet, beauty routine, make-up and both invasive and non-invasive treatments. 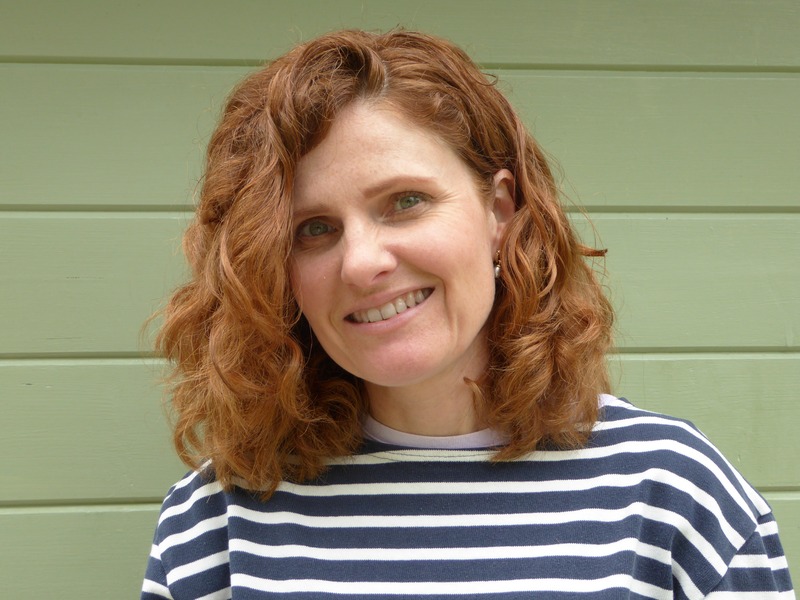 Although I don’t have any interest in going under the knife – honestly, it’s not even on my radar – I lapped up the rest of it. I was sent a preview of the book six months ago (when I’d just turned 48 and was suddenly feeling distinctly close to 50), and I started to put some of the advice into practice straight away. I’ll admit I’d got a bit lazy with what I laughably called my beauty regime. I’ve always been particular about taking my make-up off, but that – and slapping on a bit of moisturiser after I’d cleansed – was really as far as it went. I had few lotions and potions in the bathroom. I used a multi-purpose facial oil all over my face – no serums or eye creams or anything like that – and I didn’t go in much for exfoliating and what-not. Stupidly, I forgot to take a “before” picture, and I can’t say, hand on heart, that 10 years have miraculously dropped away. What I can say is that my skin is noticeably better for following Dr Youn’s advice. I have fewer break-outs and my pores are smaller. I think – though I can’t be sure – that my forehead’s a teensy bit less wrinkled. Everything’s just a little bit smoother and I don’t start the day with hideous pillow creases on my face. I don’t suppose I’m in any danger of being ID’d next time I buy a bottle of wine, more’s the pity, but I can say I’m pretty happy with the result. The only negative is that the book is American, and some of the products he recommends(and he’s pretty specific) are not available in the UK. I managed to find equivalents of most things with a little googling. If you’re really knowledgeable about skincare and beauty, you may find it doesn’t add a huge amount to the sum of your knowledge, but if, like me, you have never paid much attention to it, then it’s full of useful information. I like the style and tone of the book. It’s chatty and warm and unpious, and at a RRP of £14.99 (less on Amazon) it’s not a bad price to get a little bit of youth back. It sounds like a really interesting book, although as you say the advice is far from new. I'm surprised that there's no mention of sun screen, since protecting the skin from sun damage is one of the few anti-ageing approaches that definitely does work. People are starting to get that they need to wear sun screen every day, plus the clever thing is to wear it on the backs of your hands as well. Everybody forgets about the backs of their hands until they start to shrivel up and turn into claws. But anyway, you look fabulously youthful as ever. You should be writing a book like this, never mind reading one. Oh, there is loads on the sun - but as a redhead I'm already very careful so didn't need to change anything there! And thank you - mwah! Great review. Although a before picture would have been good. Thank you! And sorry about the before picture - it really was a stupid omission! Ah, that big 5-0 is looming on the horizon for me, too! Let's just pretend it's 30, not 50!